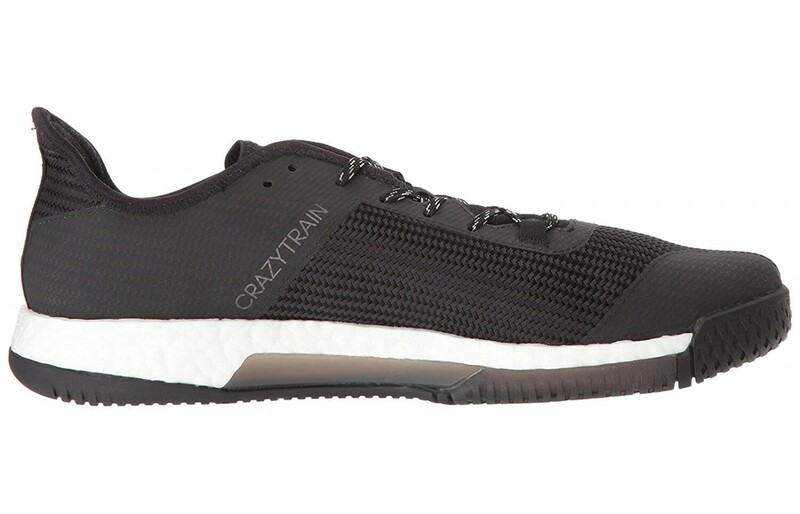 Adidas CrazyTrain Elite - To Buy or Not in Apr 2019? The Adidas CrazyTrain Elite was intended to provide the wearer with more economic benefit than the other training shoes on the market. This economic benefit refers, of course, to the biomechanical efficiency afforded to the wearer of the shoe rather than any specific monetary benefit. It incorporates a modified version of Adidas’s patented and much-lauded Boost technology, and the inclusion of this technology is one of its biggest selling points. Suffice it to say, that many in the exercise community are curious about this product. What good might it bring to the workout arena and is it worth the investment? These were among the most pressing questions surrounding the release of this shoe. Find the answer in the review below, so that you might better decide whether or not to add the Adidas CrazyTrain Elite to your arsenal. The outsole of the Adidas CrazyTrain Elite is constructed in a fashion similar to that of the women’s CrazyPower Trainer. So those who were a fan of that design are in luck. The primary difference between the two designs is that the outsole of the CrazyTrain Elite has more of an elevated textural pattern whereas the outsole of the women’s CrazyPower shoe is noticeably more even. Like the CrazyPower Trainer design, the CrazyTrain Elite features an outsole that extends beyond the medial regions of the upper. This essentially widens the surface area of the outsole. The outsole is constructed of a material that bears a textural and structural similarity to that of Traxion rubber. 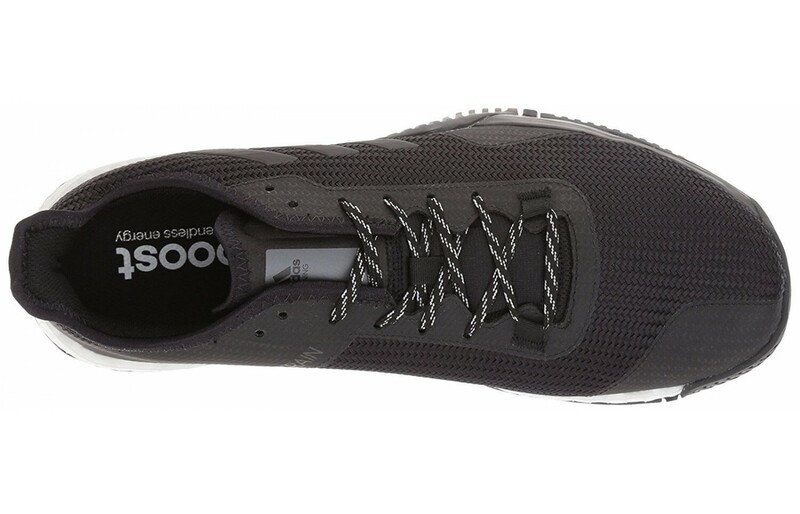 Affixed to the outsole of the training shoe is an omnidirectional tread pattern. The midsole of the Adidas CrazyTrain Elite is constructed from Adidas’s patented and highly praised Boost technology. The Boost midsole was made by steam-welding many bead-like capsules into one entity. As a result, the midsole itself has the aesthetic quality of styrofoam. Each of the beads that make up this singular entity has a cushioning property that contributes greatly to the overall feel and compressive quality of the midsole. The upper of this shoe is made of a close-knit woven fabric. This type of fabric provides a comfortable and flexible fit for the wearer. It provides enough durability while still looking sleek and clean. Some areas of the upper are comprised of TPU material for added durability as well. A rear pull tab allows the shoe to be easily slipped on and off. The Adidas CrazyTrain Elite, when assessed with the average male’s shoe size of 9.5 in mind, is approximately 13 ounces. The women’s shoe, when gauged with the average woman’s shoe size in mind is approximately 10.7 ounces. Some trainers assert that, because of the responsiveness of the shoe, the added heft is almost negligible. The breathability of this training shoe is nothing to write home about. The tightly woven style of the upper does allow some airflow, which is good for preventing overheating, but it pales in comparison to the amount of ventilation granted by some other shoes. Those trainers with an inclination to land with their heel first are in luck as the cushioning of this training shoe makes it ideal for such a maneuver. The insole of the training shoe has a great deal of give, and compresses well beneath the weight of the foot. The midsole of the training shoe does not share this same compressive quality. It is noticeably more rigid than the insole. Trainers have noted that Boost technology used in the UltraBoost series of shoes afforded the shoe greater compressive qualities. The forefoot has a lot of volume to it so that the toes can more comfortably splay. This is especially good for those with foot problems like Morton’s neuroma or bunions. To fully experience this level of comfort, though, interested trainers are encouraged to purchase a half-size down. This is because the foot chamber can, for some trainers, feel too spacious. The act of purchasing the training shoe a half-size smaller will also help to better alleviate the pains of those with Morton’s toe. Some trainers found even greater satisfaction by purchasing the training shoe a full size smaller than they are typically used to. The training shoe has an aesthetic quality that is more subdued than that of some other training shoes. So here, one will not find an eye-catching, bright or multitudinous color palette. This may seem in poor taste and for those wishing to impress their fellow trainers it will be. Those trainers, however, who wish to maintain a lower profile, and choose to avoid the attention that gaudier footwear bring will appreciate the shoe’s calmer visual property. The outsole of the training shoe is white and has the appearance of styrofoam. No other colors are available for the outsole. This is because the chemicals or paints that would be used to create the other colors if infused with the outsole, would change the responsive properties of said outsole. The width for both the men’s and women’s version of the training shoe can be regarded as normal. The upper of the training shoe has been described by some trainers as having a rubber-like textural quality. This material is not just relegated to the upper as it occupies other areas of the training shoe that are subject to more stress. This material helps to prevent these regions of the training shoe from being broken down. The outsole of the training shoe has been applauded by trainers for its ability to withstand external stressors. Overall the training shoe is a well-constructed one. A close examination of a pair should reveal to even the most observant eye that there are no signs of haphazard stitching or noticeable glue spots. The upper of the training shoe is constructed of a rubbery TPU material. The primary motive for constructing the upper from this type of material is to better safeguard it from the abrasion encountered when climbing up or down a rope. The omnidirectional patterning of the outsoles also helps the wearer to establish and maintain a better hold of the rope with their feet. Some have complained that they would have liked for the training shoe to incorporate more of this material on the interior lateral sides of the shoe. This is because the material currently used on those sections of the training shoe is less-equipped to handle the stress of a rope climb. Still, the protective measures of the training shoe are many and well constructed, and most will find these protective measures satisfactory. 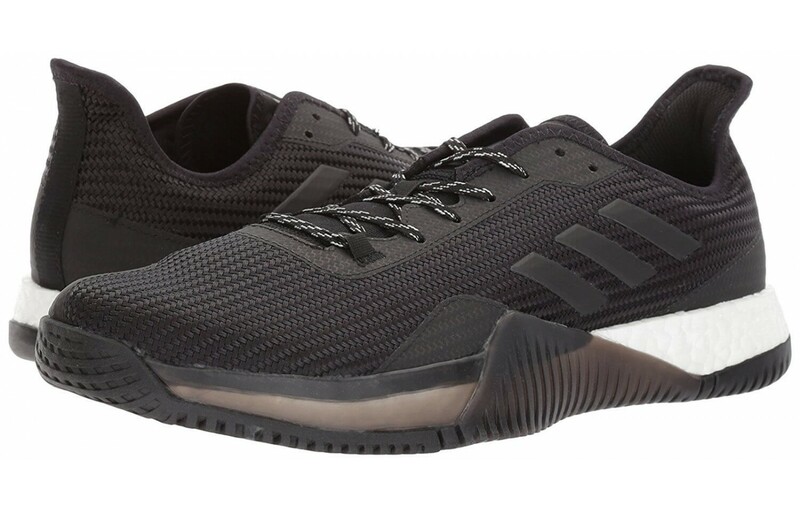 The designers at Adidas assert that the Adidas CrazyTrain Elite has a capacity of responsiveness that is superior to that of any of the Adidas shoes fashioned before it. This is thanks to their modification of the Boost technology used in it. The Boost midsole is constructed of polypropylene beads that have been steam-welded together. This affords the material a 1% increase in its propulsive qualities. This 1% may seem a minuscule improvement but it actually makes a large and quite noticeable difference. The training shoe has indeed been lauded for this improvement as it has great propulsive qualities. The training shoe incorporates neutral arch support. This is best suited for those whose feet have neutral arches or slightly high arches. This is because the training shoe lacks the structural support to accommodate those with a great degree of supination. The shoes are best suited for use inside the gym. The exercises to which the training shoe lends the most economic value are squats, cleans, and those exercises that are of a similar ilk. These shoes are priced a bit higher than what is typical of the average training shoe. Of course, the CrazyTrain Elite is a highly praised and valued product so the excessive price can be excused. The outsole of the training shoe is constructed of a material with a similar omnidirectional pattern as the Traxion outsole. Those who have tested the training shoe have praised its ability to grip the ground beneath it. The environment in which the training shoe performs most optimally is that of the gym. It can also be used on asphalt and concrete roadways, but one should be judicious about the length and extent of its application here. The shoes are not flexible enough to function optimally as running shoes. This is not atypical of those shoes constructed with the primary purpose of serving as a gym-centric training shoe. This is not to say that the shoes cannot be used as running shoes. This only means that these shoes will not be the best option for an economic run. The forefoot does lend to the training shoe an added degree of flexibility. The construction of the training shoe will suffice for gym, and weightlifting work. The training shoe has medial TPU slats on its lateral sides. This gives the training shoe greater stability so that the wearer feels more secure when completing exercises that require side-to-side movements. There is also a cage that cradles the midfoot and aids in the secure feeling of the shoe. Many regard the stability of the training shoe as being greater than that of the Crazy Power TR. There are also heel counters in the rear of the training shoe that prevent slippage. The tongue is also affixed to the upper, and not partially disjointed as with some other training shoes. This grants the training shoe a greater feeling of lock down. The rigidity of the midsole also gives the training shoe added stability. The heel-to-toe drop of the training shoe is about 4 millimeters, which is by no means aggressively large. 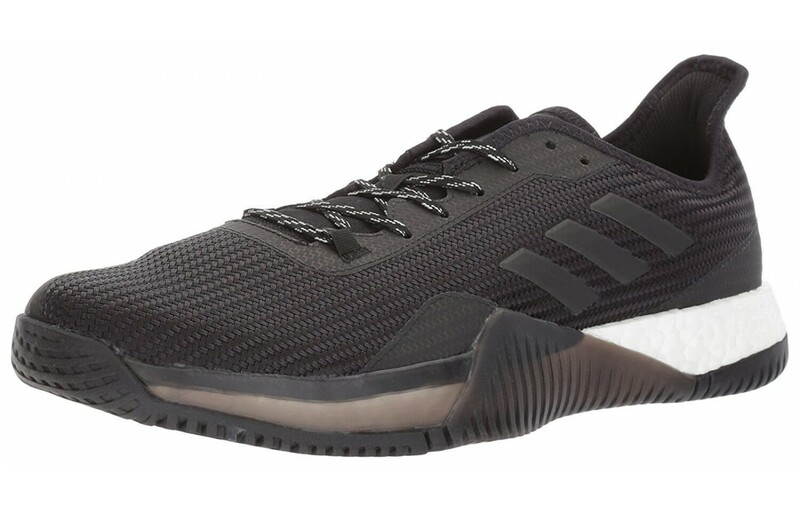 The Adidas CrazyTrain Elite is a training shoe capable of appealing to many of those in the exercise community. It is comfortable because it provides the wearer with a decent amount of cushioning and also possesses enough room for sufficient toe splay. The latter of these two claims is especially important for heavy lifting, as it affords the wearer a grounded feel. The training shoe is equipped with a number of stabilizing measures as well. It has a skeletal housing about the midfoot to give the wearer a greater sense of lockdown and TPU slats about the exterior of the training shoe to prevent lateral destabilization. The training shoe is also equipped with protective measures that are easy to get excited about. Most notable of these is the material of the upper that allows it to better cope with the stress of rope climbs without suffering much abrasion. It is by no means a perfect measure, but does well and is sure to appeal to the majority. The modification of the Boost technology also makes a big difference in terms of the midsole’s responsive properties. There are, however, a few slight drawbacks to the design of the CrazyTrain Elite. The shoes for starters are not very exciting to look at, as the designers at Adidas opted for a more subdued aesthetic quality. The breathability of the training shoe is also one of its most lamentable oversights. The foot chamber of the training shoe is a bit too easy to overheat, and this can make for a major irritant. On top of that, it leads to greater sweat production and, because this sweat cannot very easily be wicked away, malodor. Nevertheless, the Adidas CrazyTrain Elite is a well-crafted shoe. If the pros of this training shoe are assessed, the minor faults and steep price tag will do little to drive away exercise buffs.